Satellite communications company Speedcast International has agreed to purchase Hauppauge, N.Y.-based Globecomm Systems from affiliates of Tennenbaum Capital Partners and HPS Investment Partners for approximately $135M to expand footprint across the government, enterprise and maritime sectors. 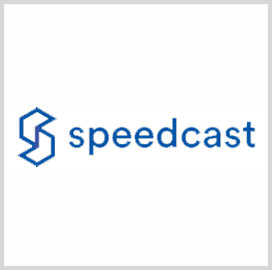 Australia-based Speedcast said Monday it expects the transaction to conclude in the fourth quarter of 2018 and to realize annual cost synergies worth more than $15M within 18 months after closing the deal. “This acquisition of Globecomm is fully in line with our strategy to consolidate our industry and thus build competitive advantages based on scale and capabilities,” said Speedcast CEO Pierre-Jean Beylier. Speedcast acquired UltiSat in 2017 as part of efforts to form a government-focused division and build on existing remote communications offerings to the public sector. The Australian firm provides mobility platforms, video streaming and remote monitoring support services for government, military, education and health care clients. Globecomm delivers telecommunications, information technology consulting, engineering and program management services to government, maritime and enterprise customers. Speedcast will fund the acquisition through a seven-year secured credit facility add-on worth approximately $175M. J.P. Morgan and Jefferies served as Speedcast’s financial advisers, while Goodwin advised the firm on the deal’s legal aspects. Kirkland and Ellis LLP served as Globecomm’s legal adviser.